Something Good in the World workshops are based on a philosophy of the integration of learning with nature and the outdoors, along with arts-oriented, sensory, whole body experiences, and are designed for all kinds of learners. Educators are trained professionals with extensive experience and a passion for sharing nature and the arts with children. 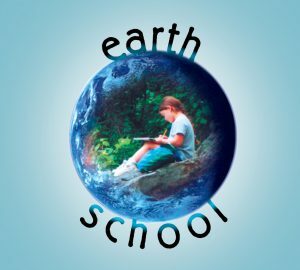 The Earth School programs for homeschoolers use the Earth as Homeschool, with the belief that nature is the best teacher and that place-based education offers an incredible resource for hands-on learning experiences. Our curriculum-based learning and community service-oriented and alternative energy projects are taking place at family farms, nature centers, parks, museums, and art centers throughout the local area. Space is limited. Mixed ages classes work together in small groups with skilled and dedicated educators. For homeschooling families interested in a “Farm Lab” experience, environmental education, integrated with eco-friendly arts, crafts, music, theatre, social studies, creative writing, earth sciences, principles of sustainability, and learning by doing. Our curriculum and educational philosophy is based on the Golden Education Template. To learn more about the GET model, we invite you to watch this video. Learn more about our homeschooling program by reading our FAQ here.